We love drinking smoothies for breakfast every day in our house. Smoothies are perfect if you want a fast and nutritious meal and need a meal “to go.” I decided to share some of my favorite tried and true recipes for those of you looking for an easy way to get your fruits and veggies in a sweet tasting frozen beverage. Here are 7 Smoothie Recipes for Quick Healthy Meals! Before you get started blending some of these tasty smoothie recipes, you need to make sure you have the supplies available to make your prep and process simple. We use a Ninja Blender system to make our smoothies. We’ve had a Ninja for several years and could not live without it (seriously, I’ve thought about taking it on a cruise before!). Our Ninja has 3 single-serve “nutra” blender cups so the hubby and I can blend our drinks and be done. If you have more than 2-3 people drinking smoothies, you will want to use the large attachment. The Ninja is powerful enough to easily blend carrots, kale, spinach and many other hard fruits and veggies. I still peel and chop fruits and veggies but it takes care of the rest. Don’t waste your money on a fancy juicer (we’ve had one of those before and donated it). The Ninja blender is all we need to make nutritious drinks to get our daily intake of fruits and veggies. The hubby and I drink this sweet grapefruit smoothie (from Incredible Smoothies) on a regular basis. We add 1/2 scoop of vanilla protein powder and kale to ours. Grapefruit is known to promote weight loss because the fruit may keep you feeling full longer. I love this pineapple peach mango green smoothie from Lemon Tree Dwelling because it’s filled with yummy goodness! We’ve substituted the yogurt for 1/2 scoop vanilla protein powder and substituted kale instead of spinach. Also used fresh pineapple chunks in place of juice. On Friday’s I like to treat myself to a chocolate smoothie. 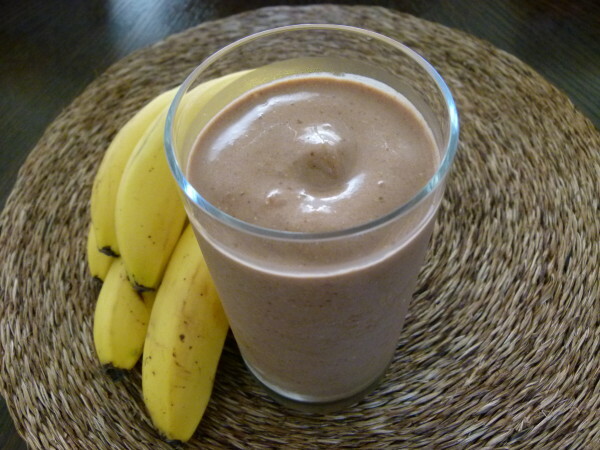 But not just any chocolate… this chocolate peanut butter banana oatmeal smoothie from Pamela Salzman. But let me tell you my secret to making this smoothie super chocolatey – use chocolate almond milk and chocolate protein powder. If you don’t have chocolate almond milk in your frig, then you are missing out. Our kids love drinking chocolate almond milk and it’s my special treat every Friday in this tasty smoothie. 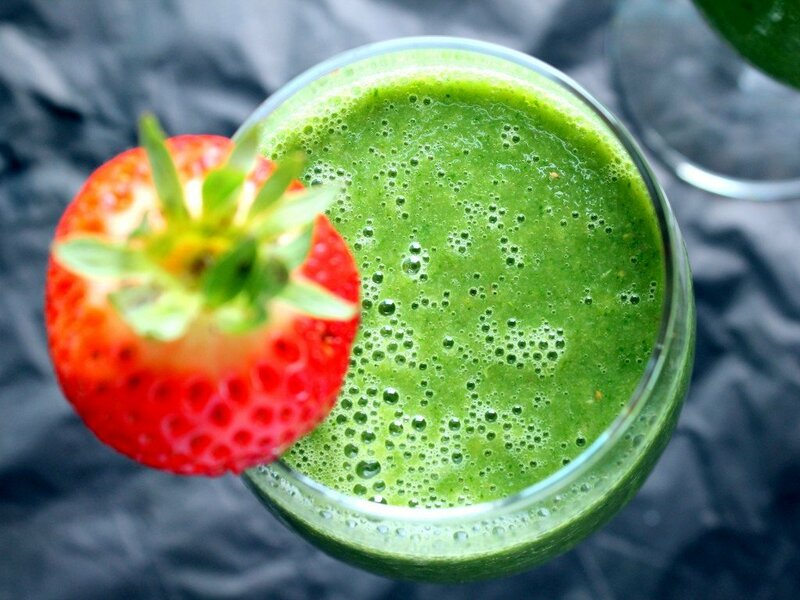 I also throw a handful of spinach in this smoothie (so I’m still getting some greens!). As much as I love green smoothies, berry smoothies are yummy too. 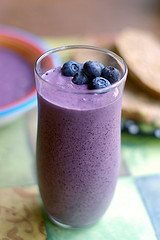 This blueberry pineapple smoothie from Healthy Smoothie HQ hits the spot. I add 1/2 scoop of vanilla protein powder, kale, and blackberries if in season. Want to sit down and eat your breakfast from a bowl? You can always try smoothie bowls 🙂 Just pour your base blended smoothie into a bowl and top with sliced fruit, flax seed, chai seed, etc. 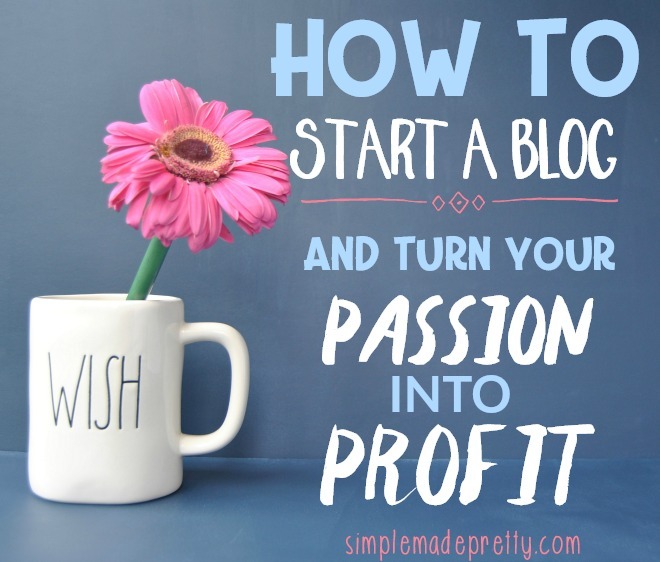 Psssssttt… Want more inspiration delivered directly to your inbox? Subscribe to our FREE weekly newsletter! 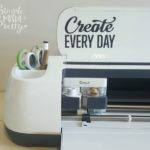 We provide simple ideas for Organizing, DIY, Crafts, Home Decor and more! Hurry up and sign up here! All of these look so good! My favorite smoothie recipe is blending 1 banana with 1 scoop of my plant based protein powder with some peanut butter. I also like to add in some chia seeds for added fiber. It’s so good! Hi Alexis, That sounds sooooo good! Thanks for sharing!